When I think of summer, sunshine and banana splits are the two things that come to mind. 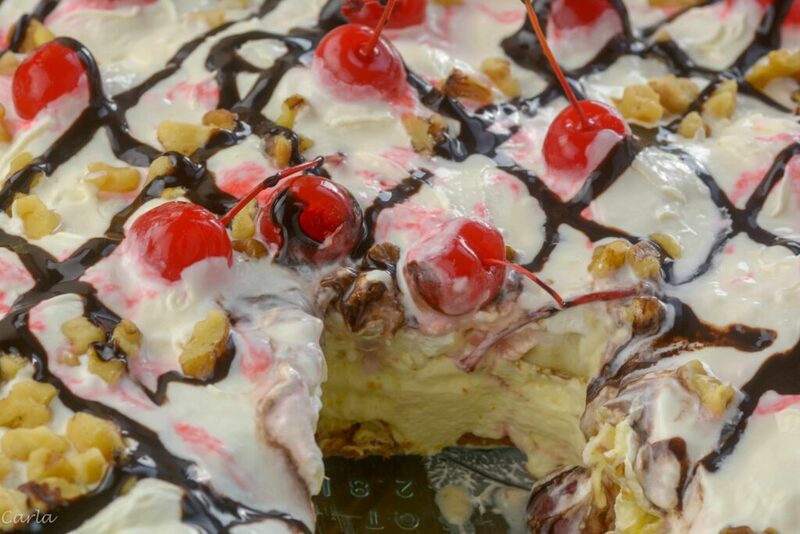 This Banana Split IceBox Cake is what dreams are made of! 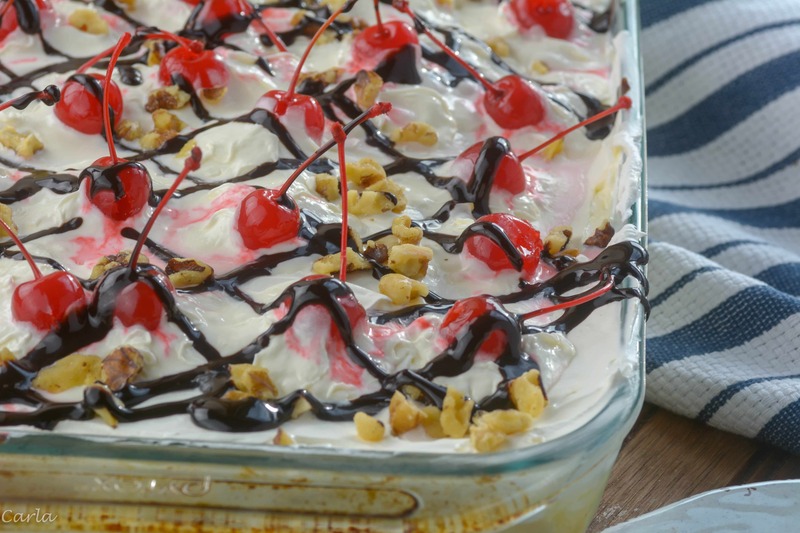 This is a no-bake Banana Split IceBox Cake that has perfectly sweet layers of graham crackers, bananas, a creamy spread, and more. It really gives you that banana split flavor but in a cake form. 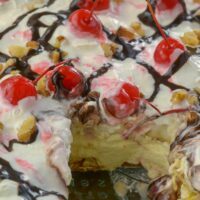 The beauty of this no-bake banana split cake is that you can slice it up and serve to guests and not have to worry about it melting away like a traditional banana split. I am a huge fan of desserts but I will be honest, I get bored with basic cakes and cookies. I will never say no to icebox cakes because of how simple they are to make but decadent to eat. It makes your summer barbecues unique, and I promise this icebox cake will stand out and be a breeze to make. Icebox cakes remind me of lasagna. You create layers upon layers of flavors and when you spoon up a bite you experience every flavor in one. While this might not be on your diet menu that you should consume daily, I do feel moderations works. We only live once and it’s okay to treat yourself to a decadent dessert every now and again! I find that using graham crackers over say vanilla wafers offers you a more clean cut. They graham crackers create a more defined layer and cut perfectly. I have made icebox cakes in the past where I used ginger snaps crushed up and that offers a nice spice to the cake. But for this banana split cake, I thought graham crackers seemed to fit the flavors really well. Icebox cakes have really evolved over the years. In the 1800’s you would find most homes making a different version of icebox cakes with cookies and puddings and custards. 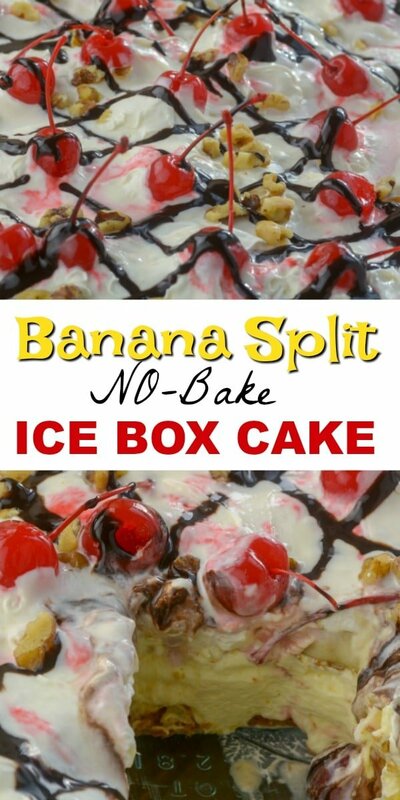 I love that still today people are whipping up new versions like fun banana split flavors to serve up for a no-fuss lazy day summer treat. Experiment with flavors and create a cool summer treat this summer that your kids and husband will love!